German-made Felo Ergonic screwdrivers, described as the most comfortable screwdrivers, will be exhibited on Hordern and Company’s Stand 2414 during Reed Exhibitions’ National Manufacturing Week at the Sydney Convention & Exhibition Centre from May 27 to 30. “Felo screwdrivers set a new standard in ergonomics, torque transmission and responsiveness,” Hordern and Company representative Tim Gore said. A full length impact-proof handle core for added strength and rigidity. Other features included a smooth, frictionless ball end for maximum palm comfort and a handle hole for easy storage or for inserting a lever, Tim Gore said. 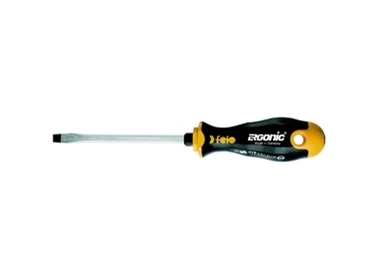 Felo individual screwdrivers are available in slotted, Phillips and Torx blade types as well as in a range of sets. Fully insulated VDE 1000v screwdrivers are also available as individuals and in sets.